When I was a young lad (when the dinosaurs roamed the Earth... etc.) I had an Evil Knevil stunt bike. 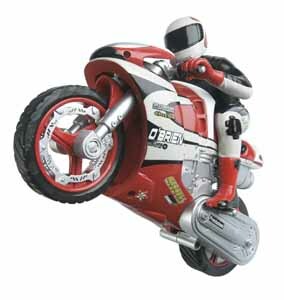 You slotted the bike onto a charger, wound the handle and sent it shooting off at breakneck speed. 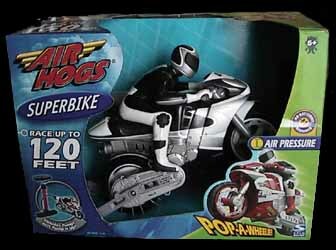 This Pop-A-Wheelie Super Bike reminded me of that old toy - although, obviously updated for a modern audience, and using much better technology.